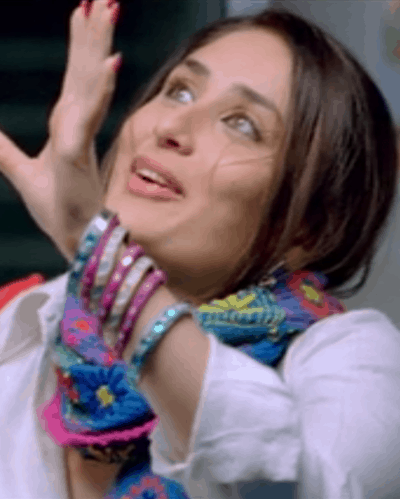 Lil Miss Chatterbox: 23 Things Every Talkative Girl Will Get! Some like to sing, some like to dance - you like to talk! It’s your “thing” and you’re pretty darn good at it! Even though some people might say you talk too much, you don’t care because you were born this way. Ah well! Haters gonna hate, right? Here are a few things every talkative girl knows to be true (apart from that super-hefty phone bill, of course)! 1. You can say a million things in a few seconds, because you have so many thoughts all at once. 2. People become friends with you instantly. After all, you have something to say to everyone! :P 3. This is a phrase you’ve been heard to use many a time: I’M NOT TALKATIVE, I’M JUST FRIENDLY. 4. Awkward silence? What does that even mean? 5. You can also never pull off the silent treatment because your mouth would never permit you to do so! 6. Well, talking things out is so much better than keeping it bottled up inside. 7. Every single person you know thought of you when they watched Jab We Met. 8. And you have to admit, you did kind of relate to Geet! 9. Most of your friends are really good listeners. Like they have a choice. :D 10. But that's because you’re also an amazing story teller. Sure you exaggerate here and there, but only because everyone enjoys that! 11. When you’re in class, you’re constantly in trouble for talking to everyone around you. You also get them into trouble. 12. But hey, you’re the most valued member of your class group discussions for a reason! 13. On multiple occasions, people have told you that you talk even in your sleep! 14. When you’re silent, even for like a second, people automatically assume there’s something wrong. 15. Um, hello, weren’t you ever told not to talk with your mouth full?! 16. You have been threatened with duct tape, on more than one occasion! 17. Just so your friends have a chance at getting a word in edgeways! 18. But when there is any sort of awkward situation, everyone always turns to you to diffuse it! 19. You end up putting your foot in your mouth sometimes. (What? You just can’t help it!) 20. You sometimes wonder if your mouth has a mind of its own. 21. Your life is basically one giant hashtag: #NoFilter 22. If you had to choose between calling and texting a person, we bet you’d pick calling! 23. Because, after all, you never run out of conversation starters. EVER. GIFs: Giphy.com MUST-READ: #KiskaPhoneTha: 11 Dating Problems If You Have Strict Parents! MUST-READ: 19 Crazy Thoughts We ALL Have When We Have Nothing To Wear!